Wow. WordPress informs me that it’s been a whole year since I started this blog. I’d better apologise from the off; most bloggers seem to have some kind of exciting giveaway or at least a personalised iced cake to celebrate their first birthday. My poor sense of planning negates all that so if it’s the freebies you’re after, I’m afraid you’ve come to the wrong place! I can still use Little M as an excuse, right? 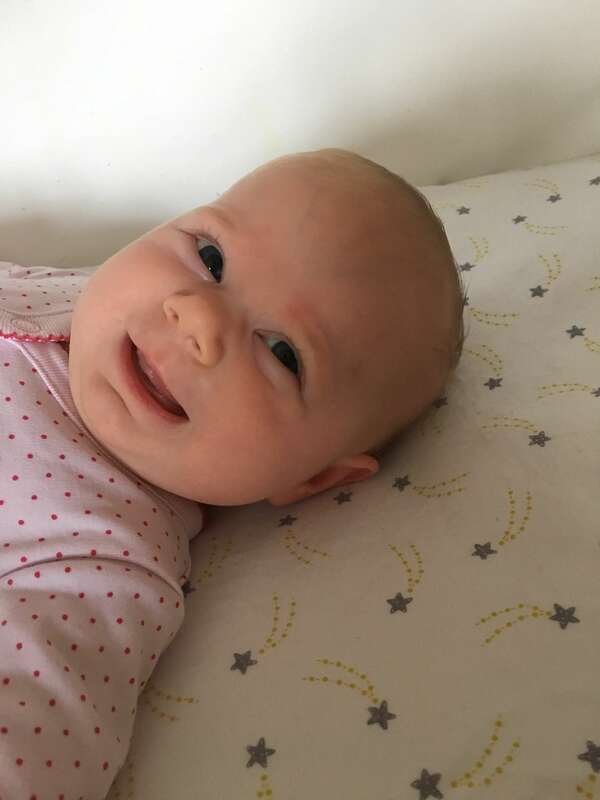 She’s not four months yet, so I’ll tell myself she’s still a newborn and there’s no way I could have arranged an all-singing, all-dancing competition. Yep. Gosh, when I look back at this past year, so much as happened! When I started writing this blog (here’s my first ever post, if you’re interested), I was using it as a distraction for a number of things. Firstly, The fact that I was driving my poor hubby nuts with my desire to conceive. It’s actually quite ironic really as I discovered just three weeks after I started my blog that I was, in fact, pregnant. 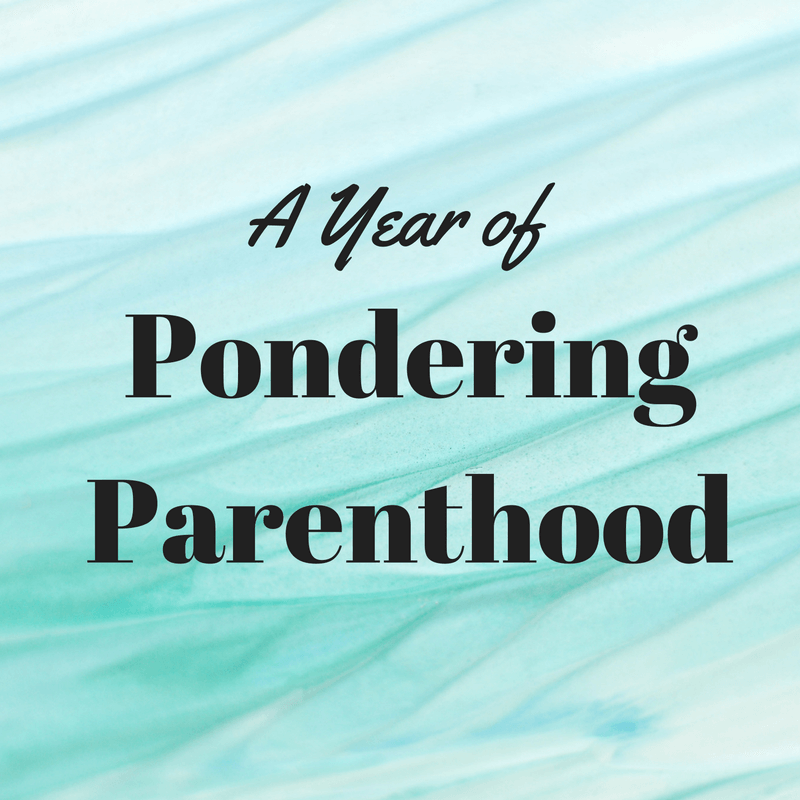 That put a bit of a spanner in the works of my blog all about trying to conceive. Not wanting to lie about being pregnant but also not wanting to announce my pregnancy at such an early stage, I went off on a bit of a tangent about gluten free sausage rolls. Yeah. Sorry about that! Unless you’re gluten free of course, in which case you’ll understand that finding a decent gluten free sausage roll is pretty amazing (This one’s the best, in case you were wondering!). Secondly, I was trying to distract myself from the whole it’s-September-you-should-be-going-back-to-work thing. I’m a teacher, you see. Except at the time of writing this blog, I wasn’t. Not an employed one, anyway. I’d quit my job in May and then spent the last half term of the previous academic year signed off sick with stress. Not something I find easy to share, but nevertheless, I think it was a pretty brave thing to do. Now I know it was the best decision I ever made, but at the time of starting this blog I needed a distraction from, frankly, feeling like a bit of a failure and not having a class to prepare. Plus I needed to get myself on the supply register and, at the time, that felt incredibly daunting. Again, in retrospect, the best decision ever. I loved doing supply and it helped to give me back some of the confidence and enjoyment in the profession that I’d lost in the years of daily grind prior to that. I don’t regret leaving full time teaching one bit. But I did find some lovely schools to work in and know that supply teaching is always an option if we need it to be, financially. Of course, the biggest change in my life since starting this blog has been the arrival of Little M. She’s changed our lives in more ways that we could ever have imagined but, after a difficult start, I feel like I’ve really found my feet and settled in to motherhood. I can say that with confidence now as Little M is currently asleep next to me in her Snüzpod having slept through the night, taken a good feed and gone back to sleep again! Okay, so she woke up, and this post has taken me an hour longer than planned to get live but… isn’t she just the most gorgeous little thing?! In terms of the blog and how it’s progressing, I’m not really sure. Yes, it’s moving forward and my social media following is growing. I’m hoping to work with some amazing brands in the future and would love to turn my blog into my job, so that I can work from home and spend as much time with Little M as possible. But that’s not why I’m still blogging. Yesterday I had a tweet from a lady who said she’d been reading my blog posts about exclusively expressing. She told me that she loved my honesty and felt encouraged to try expressing if feeding from the breast didn’t work out for her. I can honestly say that this made my heart swell. When I’m rambling away at my keyboard, I don’t really consider the fact that other people may actually be reading what I’m writing (maybe I should?!). To find out that people do, and find it helpful, is something else. So I’ll keep going for a bit longer I think, if that’s okay? "Ask the Parents – Advice for new mummies and daddies from Tattooed Mummy"
"Book Review: Dr Dawn’s Guide to Toddler Health"
Great it’s going well. Especially love the blog taking so much longer to write than planned because Little M woke up. I’m definitely feeling that. I feel like every post I write takes forever and is published later than I intended! Wouldn’t have her any other way though.